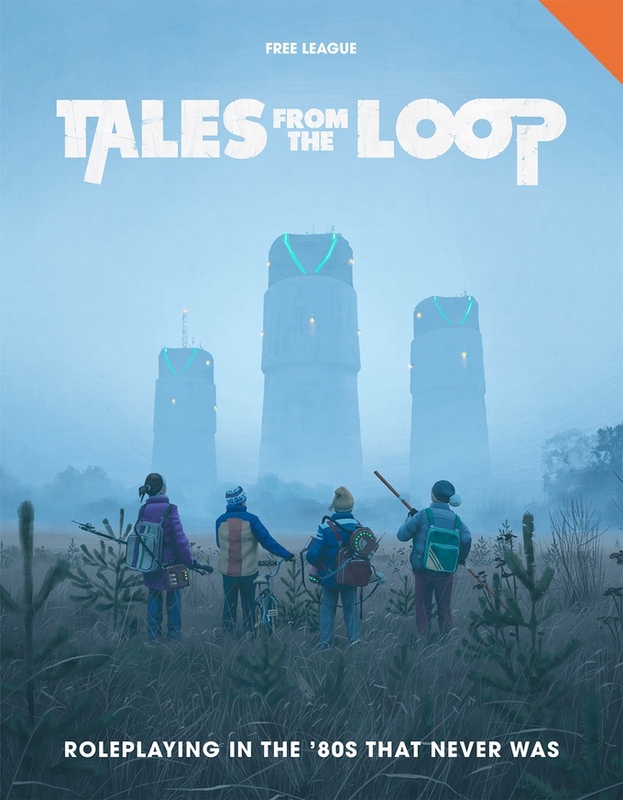 Tales from the Loop is a fantastic combination of nostalgia, now, and near-future inspired by the evocative art of Simon Stålenhag. The kickstarter benefited from serendipitous timing of the first season of Stranger Things becoming a sensation that taps into these same themes. The RPG book itself provides two full settings (one in the islands outside Stockholm, Sweden, the other a small desert town called Boulder City outside Las Vegas) and adaptations to allow the four included adventures or mysteries to be set in either location. 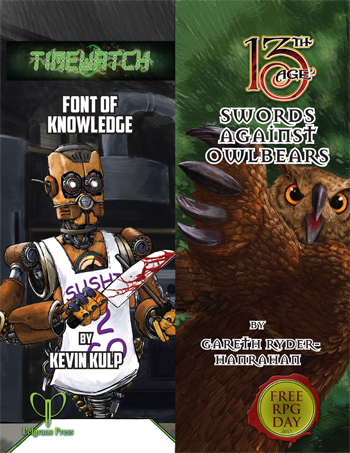 Much like The End of the World series from Fantasy Flight games, the book encourages you to adapt the adventures to your home town. Players create characters from ages 10-15 that fit classic 80s movie archetypes: Bookworm, Computer Geek, Hick, Jock, Weirdo, Popular Kid, Rocker, and Troublemaker. Each have a few skills that they specialize in, and character creation looks pretty quick. The system uses attributes in combination with skills and items that provide a number of d6s. Success on a check is determined by rolling a 6 on a d6. Additional successes can be used to help out other party members or other beneficial effects. The system seems to strike a nice balance that caters to the themes of the book, while not being too abstract or too gritty. For instance, when you choose the age of your PC, that is the amount of points you can assign to your attribute scores. for every year younger than 15, add one luck point. This luck point can be spent to re-roll a skill check. While older kids are more experienced and skilled at things, younger kids tend to find a way to weasel out of a tough spot. Elegant. The included scenarios (or mysteries) deal with a variety of subjects: animal-cybernetics, dream manipulation, time-travel and accidentally letting dinosaurs back through a portal. 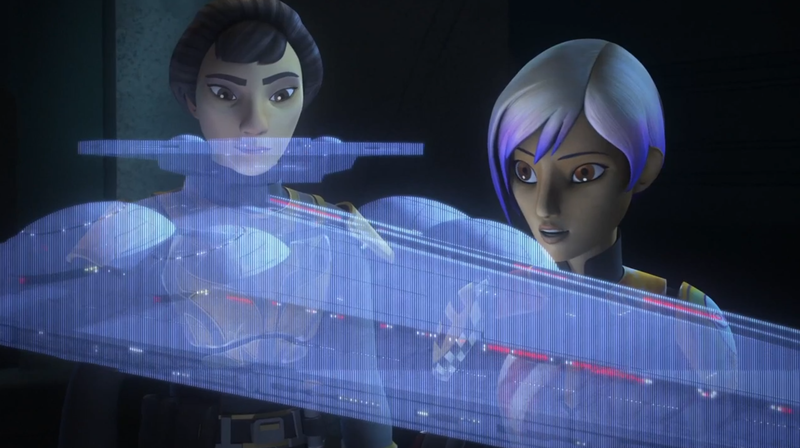 All of them are structured as investigations with suggestions for how different events and NPCs can connect to each other, ultimately leading up to a showdown with the central conflict, and a brief denouement. 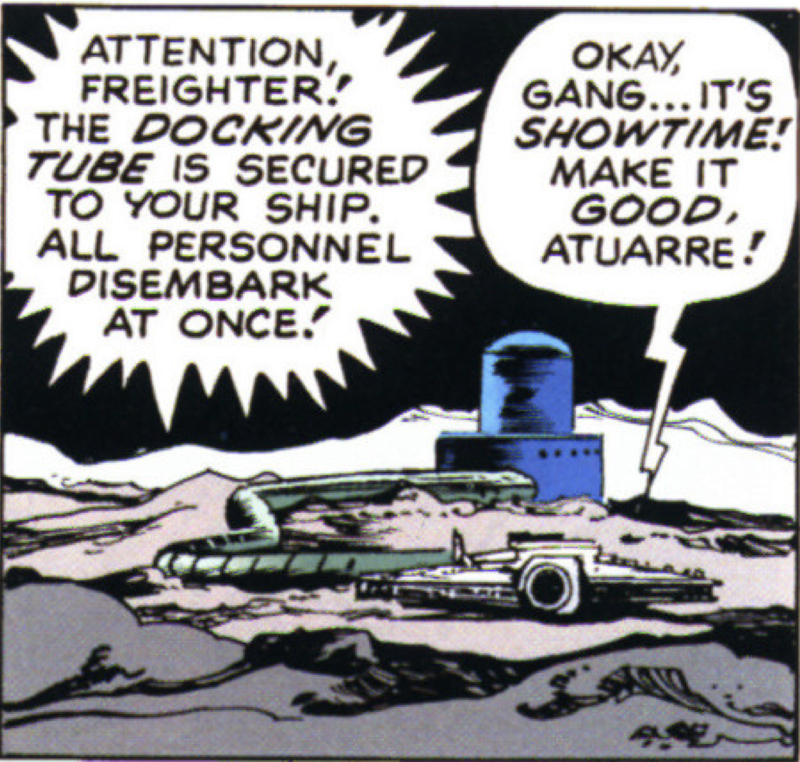 In the examples of play, the game master is encouraged to let PCs set the scenes and describe a bit about their daily life. The character creation process helps inform these scenes as players choose their character’s problem, drive, iconic item, and relationships to other kids. 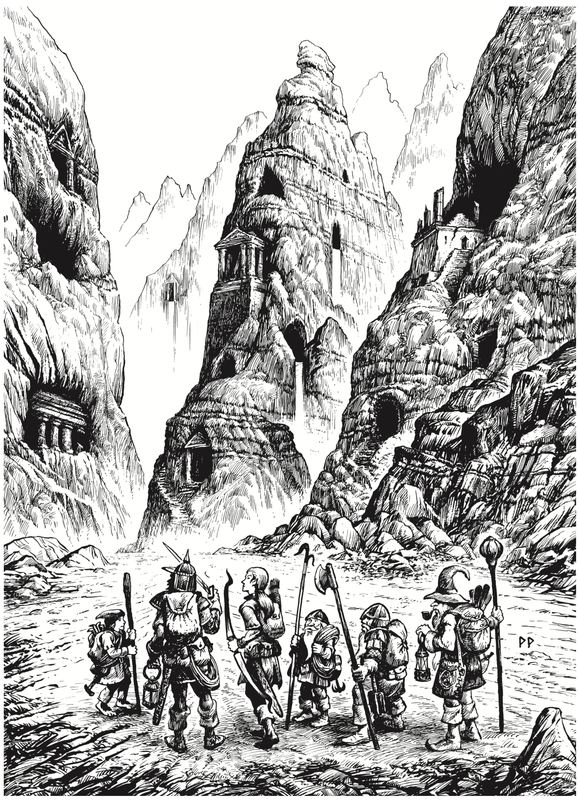 These kind of adventures work really well for convention slots, but there are several suggestions on how to weave them together into a “mystery landscape” that could form a satisfying campaign. The layout and aesthetics of the book are some of the most attractive I’ve seen for an RPG, and the included map of both settings is outstanding. Character sheets and maps are available in the support section of the Free League site. Avoid the bottom section if you are not running the game, as it includes spoiler-laden maps and illustrations that will be great for the GM. I highly recommend this book if you are looking for some weird and fantastic 80s adventures, in the theme of some of the most fun movies and TV shows of all time! Alright, let’s jump right in…. Tales from the Yawning Portal is Wizard’s latest release for 5th Edition, and is the same high production quality as their other releases. 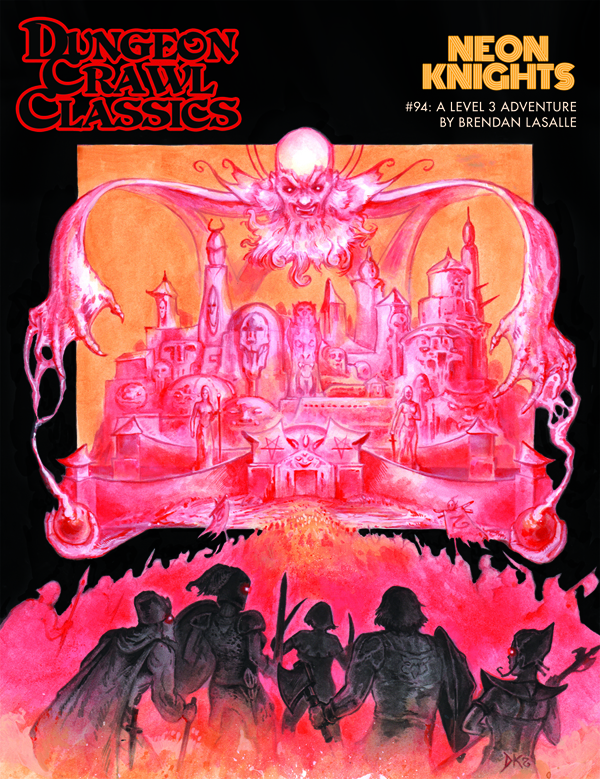 Unlike previous releases, it is a series of unconnected older adventures that have been converted up to 5th edition from previous editions of the game (ranging from several OD&D mods to some early 3rd edition modules, and some playtest content). There is also a brief chapter for magic items (15 of these) and a chapter for monsters (39 of them). Also, starting of the book is a brief flavor detail for, you guessed it, the Yawning Portal Tavern. This book is for grognards wanting to spare themselves the minimal trouble of converting a few old classic scenarios for their group, many of whom may not have played the mods. Alternately, it’s for newer players that have heard about classic mods and want to take a crack at them in 5E and see what all the fuss is about. Tales from the Yawning Portal takes the heavy lifting out of conversion, cleans up some weird oddities from older mods, and generally makes the older content much more approachable for a newer player, primarily because old originals are perhaps hard to find and the trouble of converting some of these classics may be a little daunting. So, do you need to buy it? No. You definitely do not. Should you? Only if you want to revisit these classics. I personally do, but that’s not going to describe everyone. This is a collection of classic mods first and a general game supplement second, or perhaps even third. In some ways I appreciate the fact that Wizards isn’t spamming their release schedule with Fiend Folios and Magic Item Compendiums in droves, forcing us to shell out for semi-mandatory releases. On the other hand, I feel like getting 39 monsters at a time is a somewhat slower financial torture. That, and now if I want to find a monster, I have to flip through Volo’s Guide to Monsters, or now Yawning Portal to find what I’m looking for in addition to the Monster Manual. It’s not really convenient or logical. In a lot of ways, 5th Edition is a response (perhaps a kneejerk response) to the vitriol that arose as a result of the new ideas of 4th Edition. 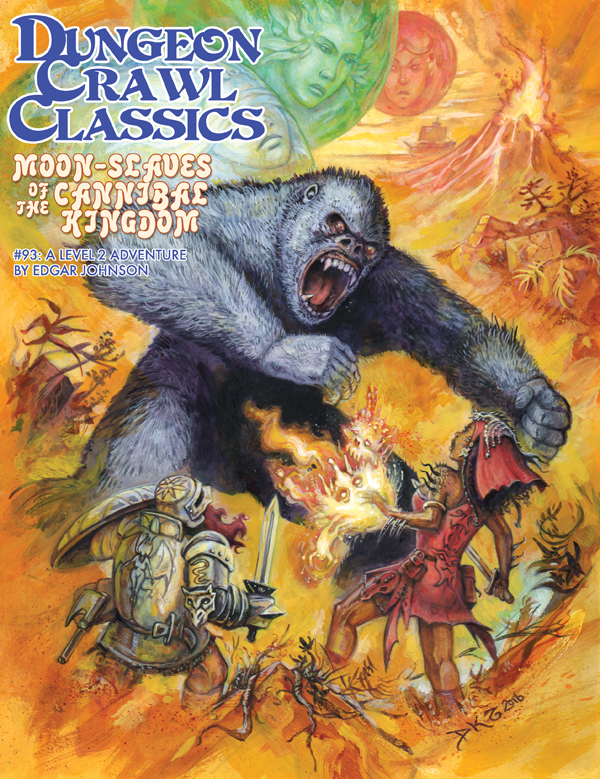 4th Edition is commonly summarized as “a great game, just not dungeons and dragons”. As a result, 5th edition has a much more old school feel, without all that horrible THAC0. This is a slapshot right down the throats of all those geezers like myself that just want to play ancient modules until we die, and make other people play them too. The great thing about this book is that you get a lot of content, and a lot of short usable play hours with it. You can play pieces of it without having to feel married to it for a year (a complaint that some of us are feeling in our current Out of the Abyss campaign). Being able to play a few sessions, then stop, can be very welcome when seeking published content. Also, they snuck the ENTIRE GIANTS TRILOGY in here! That is Fricking Awesome! So there is good to be had. The monsters, however, as well as the magic items, are there to support the rest of the published works and don’t really stand on their own as a supplement (nor do I believe they were held out to do so). Overall, it’s great to have on the shelf, but the home campaigner or the long haul campaigner is going to scratch their heads at this release. This is nostalgic potpourri and historical esoterica. So, proceed with the knowledge of what this book is, and see if it is worthy of your shelf. It’s on mine, and I’m glad for it and look forward to sharing some old classic content with my group for a couple 3-shots. 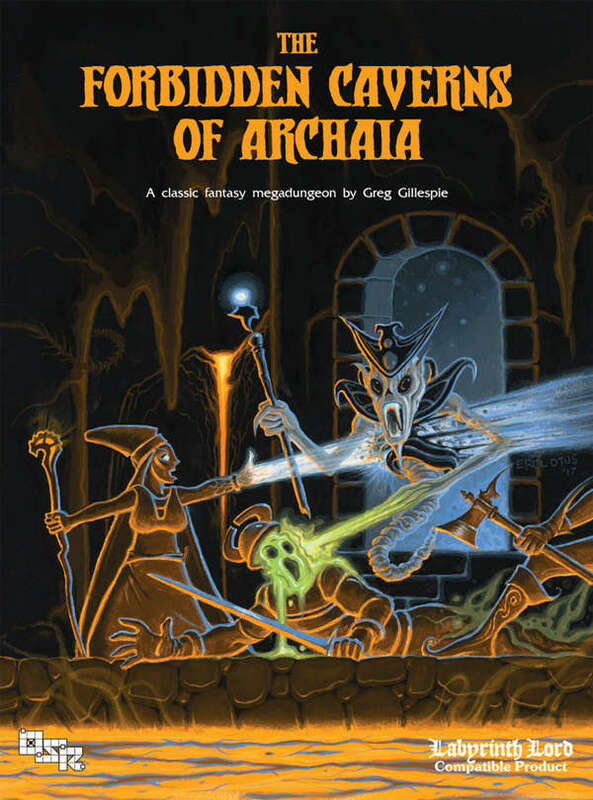 One last thing I wanted to mention, and can’t seem to find a place to fit into this review, is the curious disappointment I have that the Yawning Portal, famous for it’s connection to Undermountain, is not at the head of a book for UNDERMOUNTAIN! It’s a fun way to connect these modules as tales from tavern-goers but something I hope Wizards will attempt in the months and years to come. That’s a classic that definitely belongs on the shelf.